After two decades, Boston’s favorite pop band is still going strong. One of the best things about listening to a just-released Guster album for the first time: The comfort in knowing that you’re about to hear something that’s familiar, but at the same time, new and different. In other words, Guster never lets you down. From the time the band formed in 1991 to when it released its first hit pop album on a major label with 1999’s Lost and Gone Forever, through its two successful follow-ups (Keep It Together in 2003 and Ganging Up on the Sun in ’06), and onto their latest, Easy Wonderful, released this past Tuesday on Universal Republic, the band has consistently given its fans what they want — warm, tuneful, mature rock songs with strong central melodies and sing-along choruses. Guster frontman Ryan Miller points to that consistency as one of the reasons why the band, which includes Brian Rosenworcel on drums and Adam Gardner on guitar and vocals, has managed to keep it together for nearly 20 years. “Our first producer, Mike Denneen, said you’re so lucky that you’re a pop band. Pop music doesn’t go out of style,” said Miller after a soundcheck in Charlotte, North Carolina, this past Saturday. Better than, say, the latest by indie phenoms Sleigh Bells, which Miller said “is amazing. I know it will be played in every loft in Bushwick, but that stuff will sound so 2010 forever. That’s what it is, and it’s not a knock on them. It’s really contemporary, and I’d love to make a contemporary album. Radiohead felt contemporary, too, and their records don’t sound dated. 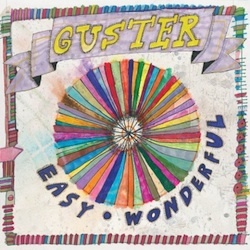 While it’s true that you won’t classify Easy Wonderful alongside the latest by Best Coast or Animal Collective or Deerhunter, there is something contemporary about the album, at least in Guster terms. Opening track “Architects & Engineers” sports that classic Guster swing, the great harmonies, the shout-out chorus, but also sounds like a fresh direction. The first single, “Do You Love Me,” starts with hand claps and bursts with church bells. While dance track (yes, dance track) “This is How It Feels To Have a Broken Heart,” glides on a ’70s-flavored counter melody and a disco beat. All right, maybe it isn’t contemporary in an indie music sense, but really, don’t we all need a break from the usual art projects every once in a while? Guster may not be redefining pop music, but that doesn’t mean their music isn’t good or relevant, and Easy Wonderful is arguably their best record in a decade. Will Dirty Projectors be able to say that about whatever record it releases 10 years from now (if they still exist)? Ironically, the making of Easy Wonderful almost ended Guster. Miller said the band has spent the last four years since the release of Ganging Up on the Sun touring (for two years), having kids (Miller has two children, while Gardner has his second on the way) and writing the new album. It wasn’t until they found themselves in a New York studio with producer David Kahne (The Strokes, Sugar Ray, Regina Spektor) that the wheels began to fall off the wagon. “We had a lot of great ideas that came in big chunks,” he said. “It was our most creative moment, coming out of those depths. 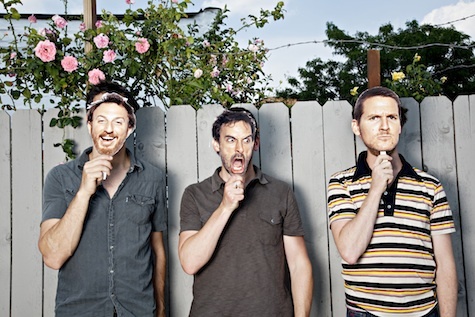 Guster plays with Eli “Paperboy” Reed & The True Loves Tuesday, Oct. 12, at Slowdown, 729 No. 14th St. Showtime is 8 p.m. Admission is $25.50 adv. ; $30.50 DOS. For more information, call 402.345.7569 or visit theslowdown.com. Poison Control Center might as well just move to Omaha. Seems like they play hear every couple of months, so often that people are beginning to think they’re an Omaha band (uh-oh). They’re back and completely untethered tonight at O’Leaver’s (expect some gnarly high kicks and somersaults) along with singer/songwriter genius Kyle Harvey and La Casa Bombas. $5, 9:30 p.m.